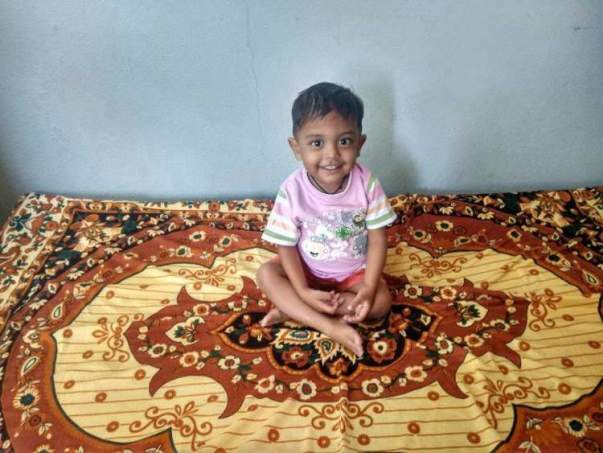 Since birth, 2-year-old Riyansh, son of Prasad Babu, has been fighting a severe liver disease called Biliary Atresia. He is in a critical condition as he is suffering from constant jaundice, yellowness of the eyes and stools. 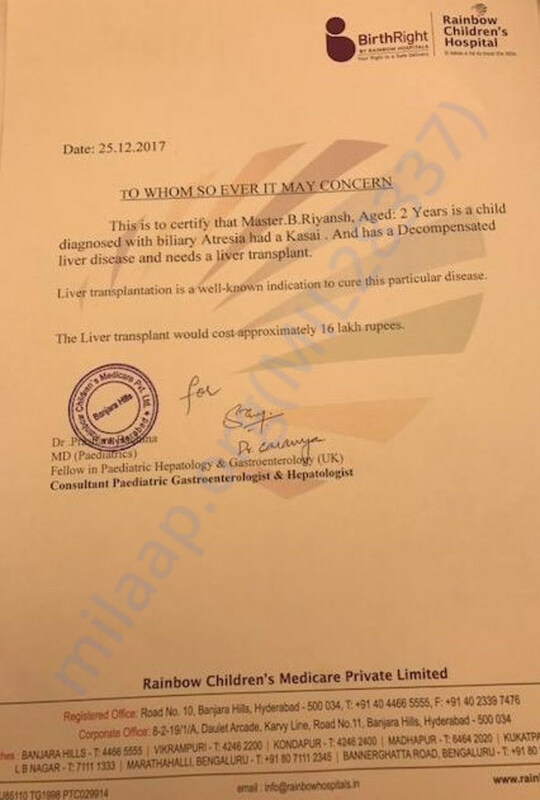 The only treatment for Riyansh now is a liver transplant which costs around 16 lakh Rs. Prasad is a medical representative and his earnings are not enough to cover Riyansh's medical expenses. Divyashree is a homemaker in a joint family. Being the main breadwinner in a family of 6, continuing treatment is becoming impossible for him. They also have a 5-year-old daughter whose school expenses need to be taken care of as well. 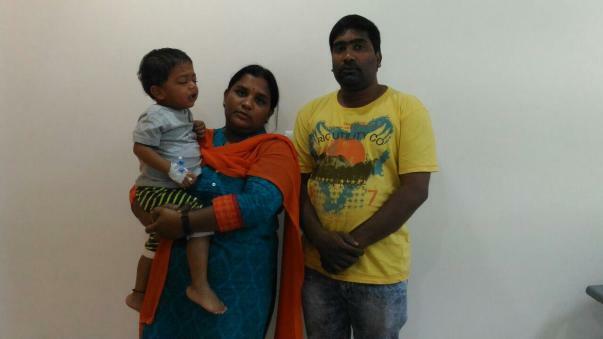 Your contribution can give Riyansh the treatment he deserves. Thank you for the wonderful support that you have shown towards my son. He is doing better now compared to earlier and the doctors have recommended him a few tests, based on which they will be suggesting a future course of action. At present, he is responding well to the medication and the doctors suggest that once his health stabilises further, they will be performing the transplantation procedure. I would like to thank you all once again. Do pray for his health and speedy recovery. Will keep you posted. Thank you for the wonderful support you have shown towards my son Riyansh. He is doing better now compared to earlier and is on oral medication. The doctors suggest that he will be under observation for the next two-three months and then based on his health they will be suggesting the future course of action. Either me or my wife will be donating a part of our liver to him and the doctors will be deciding this once they decide upon the date of the surgery. Please share this campaign further with your friends and family to help us in raising funds faster towards his treatment. Do pray for his health and speedy recovery. Will keep you posted.